Greymachine is Justin Broadrick led noise / drone project from United Kingdom featuring Dave Cochrane, Aaron Turner and Diarmuid Dalton. In 2009 Jesu mastermind and former Godflesh frontman Justin Broadrick and Isis leader Aaron Turner have teamed up to form Greymachine, along with fellow Jesu / Godflesh member Diarmuid Dalton and Head of David's Dave Cochrane. Justin Broadrick and Aaron Turner are two of the most influential rock musicians today. In 2009 Jesu mastermind and former Godflesh frontman Justin Broadrick and Isis leader Aaron Turner have teamed up to form Greymachine, along with fellow Jesu / Godflesh member Diarmuid Dalton and Head of David's Dave Cochrane. Justin Broadrick and Aaron Turner are two of the most influential rock musicians today. 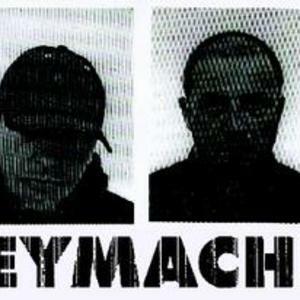 Greymachine's intention, as Justin Broadrick described it, is "to prove that I have not lost any of that zeal for extremely hateful sounding music". It's been some time since Broadrick has been associated with aggression, despite beginning his musical career with Napalm Death and founding the industrial' Godflesh. However, Greymachine is his path back to all of that. The first album Disconnected, released the 4th of August 2009. Diarmuid Dalton - keyboards, radio, tapes, bowed bass guitar.